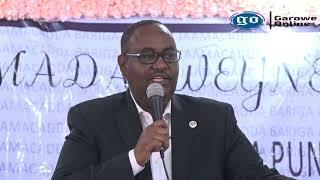 ADDIS ABABA - The Chairperson of the Somali People’s Democratic Party (SPDP), Ahmed Shide on Saturday accused the media of baseless reports of a split in the party and denied any role in an alleged plot to oust the Somalia regional state’s interim president. In a telephone interview with the Ethiopian Broadcasting Corporation, after meeting with Prime Minister Abiy Ahmed and the Region’s interim President Mustafa Muhumed Omer in Arat Kilo palace, Ahmed Shide offered criticism saying reports of party split and his alleged move to oust the president were baseless. He pointed out fingers at elements who are “trying to create political uncertainty and instability in the region by disseminating false information”. 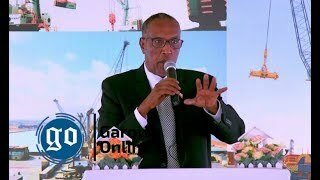 Ahmed, who also doubles as Finance and Economic Cooperation Minister of the federal government, said he had a successful discussion with Prime Minister Abiy and president Mustafa, who accused him of treason a day before. The chairperson said the discussion revolved around ways of sustaining the reform in the region, strengthening development and unity of leadership and maintaining amicable relations with neighboring regions of Oromia and Afar. 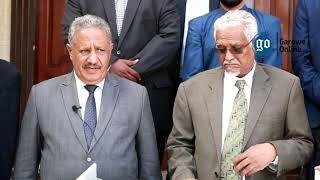 "We have come to an agreement that unity of the leadership within the party and the region is imperative to ensure the stability of the region,” Ahmed Shide said. Office of Prime Minister of Ethiopia posted a photo of the three, posing in front of a painting, ostensibly smiling. 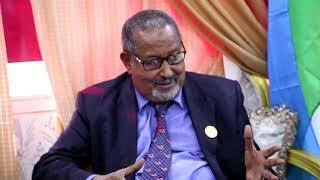 The widely reported brawl within the ruling party of the region was sparked when President Mustafa Omer, who is based in the regional capital, Jigjiga decided to dismiss five officials including Guled Al Ali Kaahin, communication bureau chief and Ahmed Abdi Mohammed, the region’s once finance and economic development head and interim president. A move which was opposed by certain ranks and files and even provoked a call for the president to go, according to reports. Mustafa Omer himself made a Twitter tirade in which he accused Ahmed Shide of committing treason, going on to say that an immediate and independent investigation should be conducted against him and he should be duly tried. “No one is above the law! 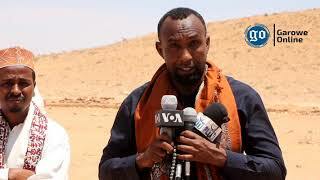 No more, no less!” Legal and human rights advisor to President Mustafa, Jamal Diriye also went on record to say that certain former officials of the region, federal government officials, including Ahmed Shide are preparing to restore the previous administration, led by Abdi Mohamed Omer, commonly known as Abdi Iley, who is currently behind bars. Ahmed Shide didn’t directly address to those allegations in the interview.